to deliver increased speed, high reliabilty, and maximum efficiency and productivity. and 80 ipm. 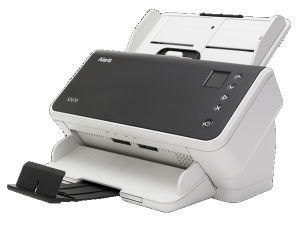 * The DR-3010C provides fast connectivity with a Hi-Speed USB 2.0 port so documents can be scanned quickly. 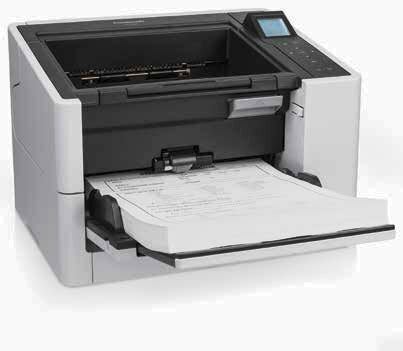 Canon’s innovative page separation mechanism ensures reliable feeding of a wide variety of document sizes and weights. The slant paper path design ensures smooth handling of everything, including mixed batches, thick and onion-skin documents, multisheet forms, 11” x 17” folios, and even embossed plastic cards. The output tray is extendable with two stoppers that can be adjusted to accommodate multiple document sizes. DR-3010C scanner make it ideal for use on desktops, countertops, or anywhere space is at a premium. WEEE directives for reduction of hazardous substances and waste products. 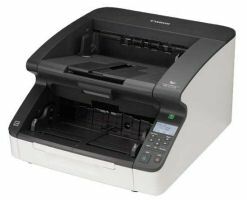 Equipped with Automatic Color Detection for easy scanning of mixed batches, the DR-3010C scanner also features efficiency-boosting image processing functions such as Automatic Page Size Detection, Skip Blank Page, Deskew, Text Orientation Recognition, and much more. Plus, the optional bar code module can automate many processes, including batch separation, indexing, and file name creation. Bundled with the latest document imaging software packages—including Canon CaptureOnTouch, Canon CapturePerfect, Nuance eCopy PDF Pro Office, Nuance PaperPort, Nuance OmniPage, Nocson EasyConnect (available via D/L), Presto! BizCard, and Kofax VirtualReScan—Canon’s imageFORMULA DR-3010C becomes more than just a scanner. It becomes a system to infuse a busy, paper-intensive office with increased productivity and more efficient workflow. Text Enhancement, and Prevent Bleed-Through help maintain precise image quality. 7.8" x 12.2" x 11.5"